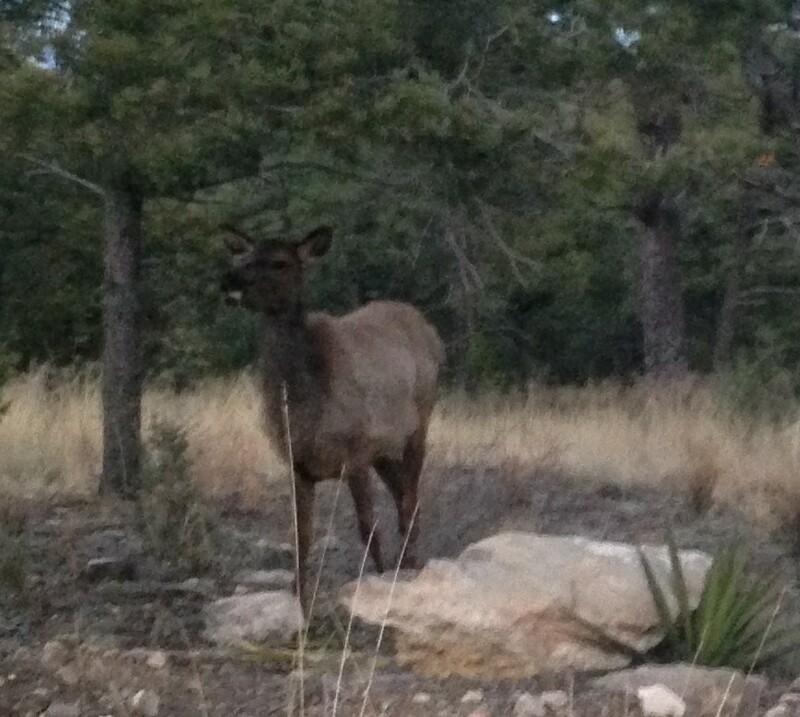 Elk frequently make their habitat at high altitudes and in rough terrain. Almost every state that offers elk hunting licenses requires them to be purchased, usually through a lottery system, many months in advance. Every year it seemed that as the autumn leaves began to turn I found myself, too late, wanting to go out hunting for one. Last year as elk season approached, I decided that the next year would be the one when I went out on my own elk hunt for the first time. I’ve hunted deer, hog, antelope, and various other wild game throughout the United States, but I’ve never had the opportunity to hunt elk before. For non-residents of states that offer elk hunting opportunities, cost is a huge barrier. I know it is for me. A single elk license can run over $500, while my normal in-state hunting license runs me less than $100. Add in travel costs, lodging, and hiring a guide and the expense quickly soars into many thousands. Don’t make the mistake of thinking you can hunt without a guide. Sure, you could, but then you don’t know the area as well as they do. As a deer hunter I know how important scouting and patterning is. I spend days and weeks out in the fields and forests that I hunt in my home state before I ever pick up a bow or rifle. You could go without a guide, and you might get lucky. Hunters who live in and around elk country could probably get by without a guide if the area is scouted properly. For the rest of us, relying on luck when on the hunt of a lifetime isn’t a good recipe for success. A successful hunt is made months before the taking the shot. You would never take a rifle that hasn’t been test fired and zeroed out on a hunt. By the same token, your body must also be prepared. Elk hunting is physically taxing. The terrain that they move through during the hunting season is rugged and unforgiving. Compared to the North Americal whitetailed deer I’m used to hunting, elk roam much farther too. Add in a lack of oxygen from the high altitude and even an experienced spot-and-stalk hunter can find themselves winded and fatigued. Proper footwear and a good pack are key when hunting elk. A large pack that is well balanced will allow you to carry the meat out in fewer trips. High quality lightweight boots protect your feet and ankles allowing you to hike faster without fatigue or risk of injury. The biggest mistake however is buying new boots just prior to a long hunt. Many have made that mistake and paid the price with blood and blisters. I needed to get in shape and get my boots broken in long before the season approached, so back in February of this year I got my hands on a new pair of LOWA Renegade GTX hiking boots. A brief search found the boots resting on my wife’s side of the closet. You see, my wife and I wear the same shoe size. A bit longer discussion revealed that she had found them, tried them on, and loved them so much that she’d “adopted” them and I was informed that if I could afford to go on an elk hunt that I could afford to buy another pair for myself. After ordering another pair, it was time to get serious about my training regimen. The core of my workouts would consist of rucking through the nearby foothills while wearing an Arcteryx Altra 85 pack loaded with fifty pounds of sand bags and carrying my rifle at a brisk pace. The Altra 85 is a very large pack that distributes weight well over uneven terrain. It would work well for packing out the meat I hoped to harvest. The rest of my training gear consisted of my regular hunting pants and a t-shirt as well. Every week I did at least four hikes, usually five, with each one covering a minimum of four miles. 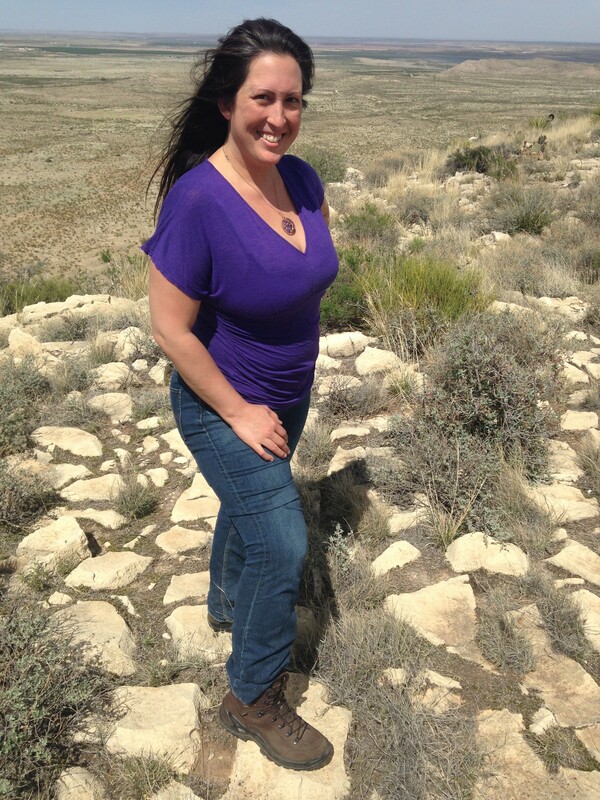 “Easy” days consisted of a short hike combined with an upper-body workout. “Heavy” days I hiked longer distances, sometimes over ten miles, and did core body-strength exercises. “Off” days I did yoga. Don’t laugh! Yoga is enormously helpful in not only strengthening your core, but the increased balance and flexibility you gain from it helps to prevent injury. Generally the schedule was “hard” days on Monday, Wednesday, and Friday, and “easy” days on Tuesday and Thursday. Yoga I did on the weekends. Training at altitude is an enormous help if you can do it. I’m not quite as high as the elk will be once hunting season starts. They will be close to 10,000 feet while I’m training at only about 4,000 feet above sea level. Still, every little bit will help. I made a few trips higher up into the mountains to get some training done up higher. If you don’t live in an area with rarefied air, it’s even more important to get some extra cardio workouts built into your training regime. In my case I have been pushing pretty hard on the cardio. The foothills in this area provide a pretty decent challenge. Alternatives could include running up and down the bleachers at a local stadium, doing the same on a small hill, or even hitting stair-climbing equipment at the gym. The first week of workout was hell. I didn’t push myself that hard, even did the hikes without a pack at first, and still the soreness and pain was a reminder of just how woefully out of shape I was. Perhaps it was my lack of physical fitness, or maybe the boots just weren’t broken in yet. Regardless, the provided insole didn’t really provide as much cushioning as my tender feet were used to, so it was removed and replaced with a Dr. Scholl’s gel insert. I was enormously grateful that LOWA’s Renegade GTX is a only a featherlight 2.5 pounds. My previous pair of hunting boots weighed nearly five pounds, and my steel-toed work boots tip the scales at well over seven. While rain and puddles aren’t a big concern in the desert, the Gore-Tex lining used in the boots helped to keep my socks dry despite my sweaty feet. It’s only been two full months since I started these hunting workouts, but I can already see and feel a difference. Many hunters obsess over their gear, trying to shave an ounce here and an ounce there. To be sure, I’ll go out with some ultra-light gear as well. 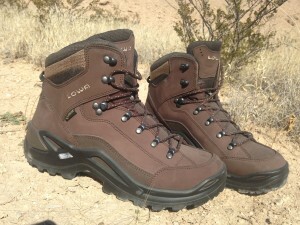 Both the LOWA boots and Arcteryx pack are weight-savers. The biggest difference however will be the pounds and inches I’ve dropped from my waistline, and the muscles I’ve gained instead.